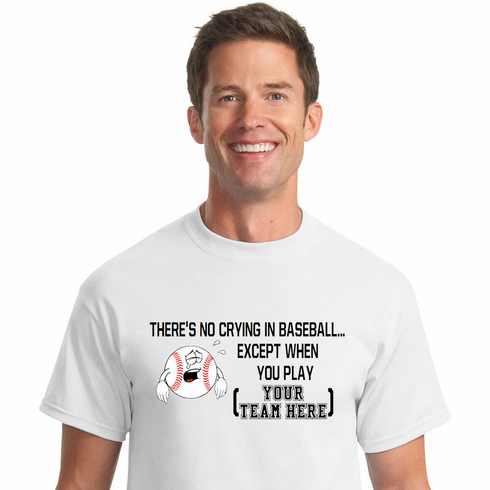 These custom baseball t-shirts feature the There's No Crying in Baseball Except When You Play graphics printed on the chest. 100% cotton. Up to 9 characters and/or spaces per line. You can choose something like THE YANKEES or include your own team or school name to make this shirt one of a kind!